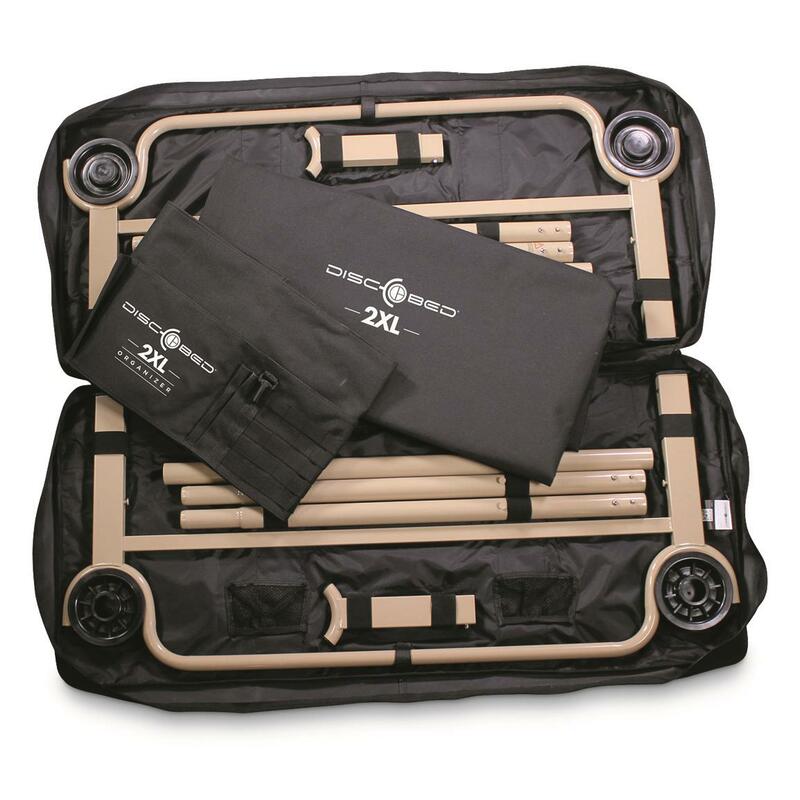 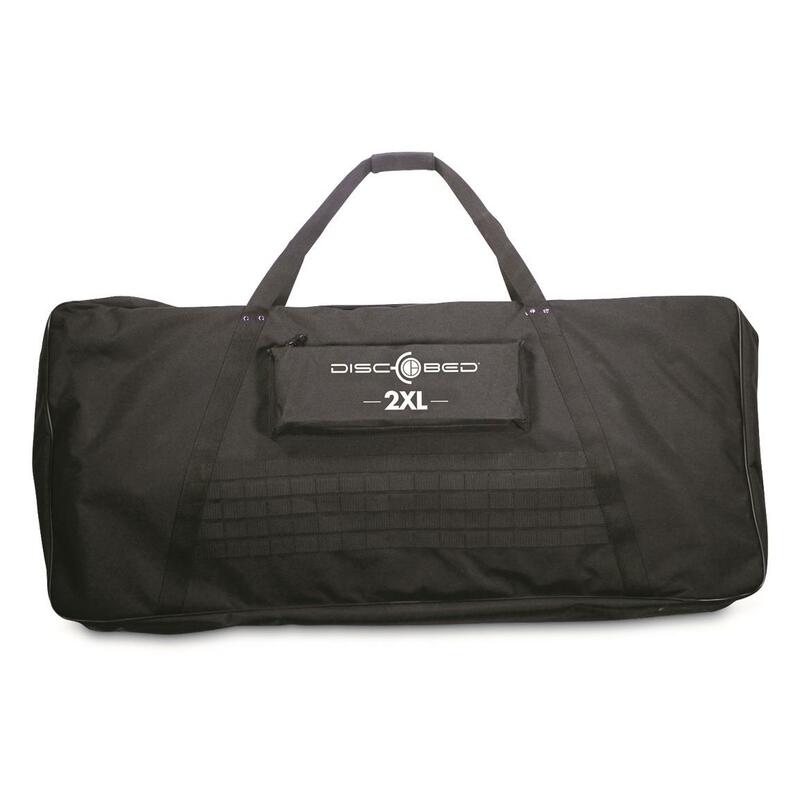 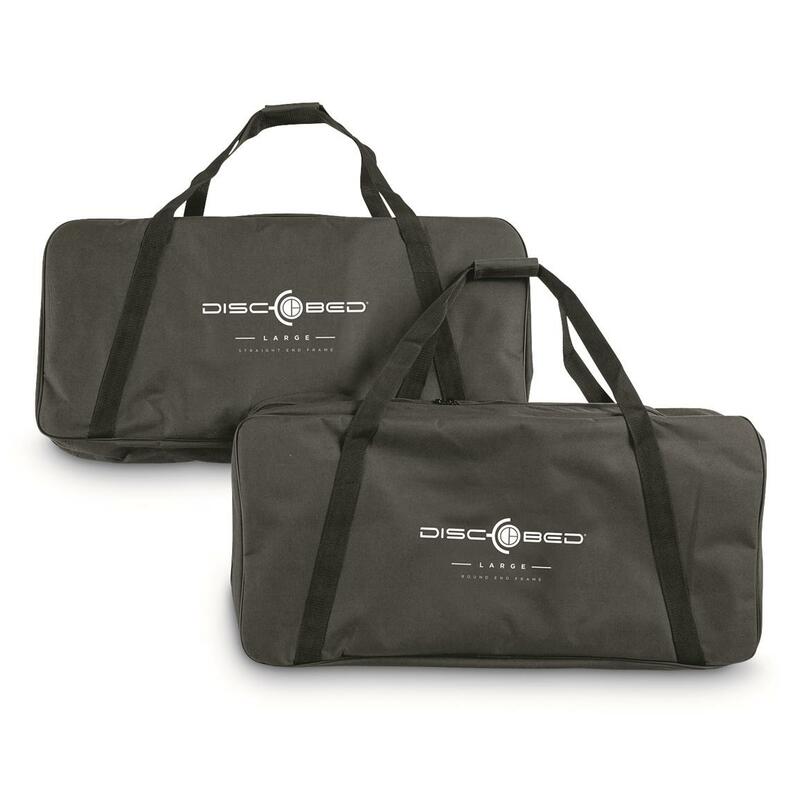 Smart, versatile and highly portable, the Disc-O-Bed® makes the most out of limited tent space. 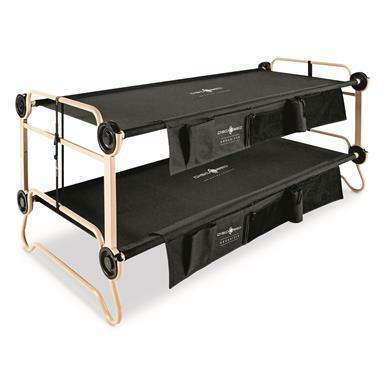 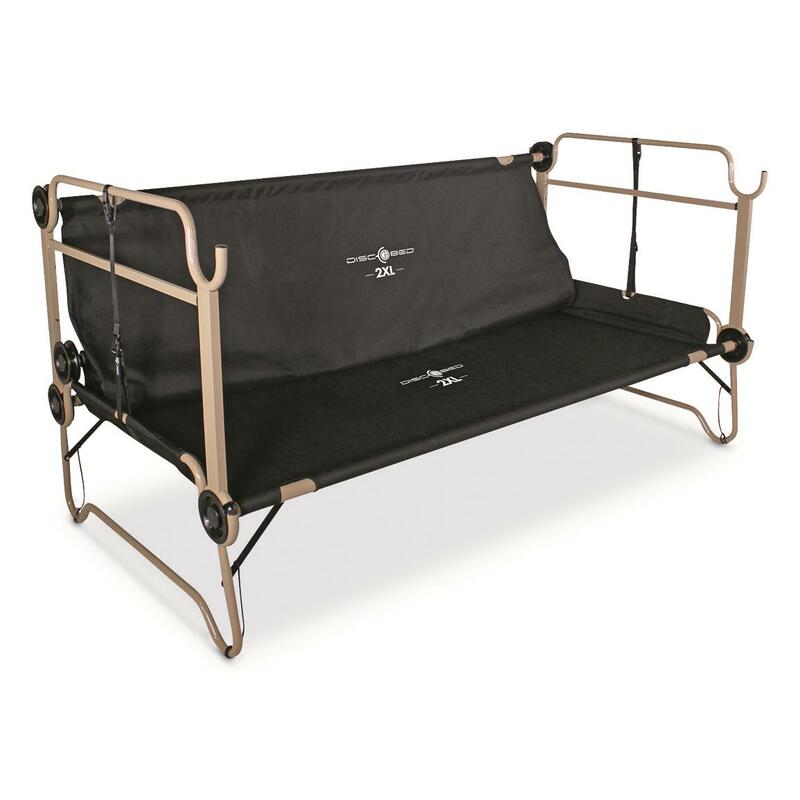 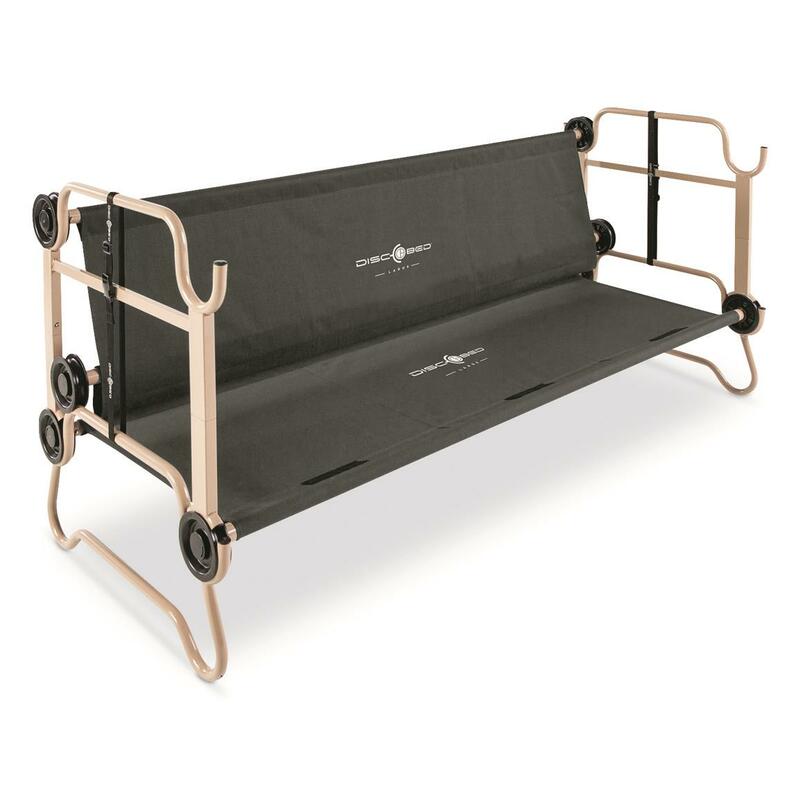 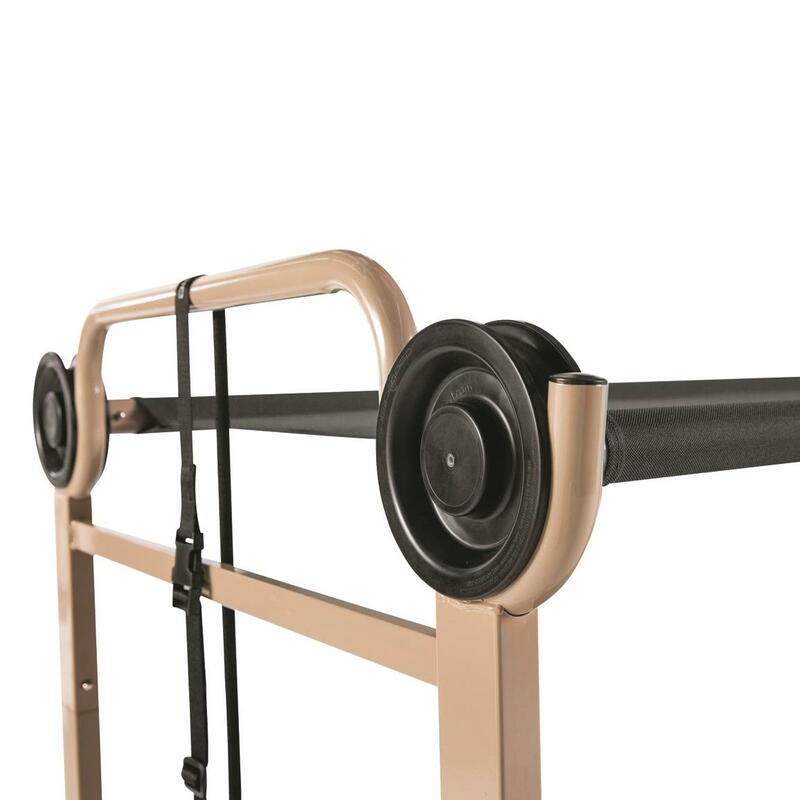 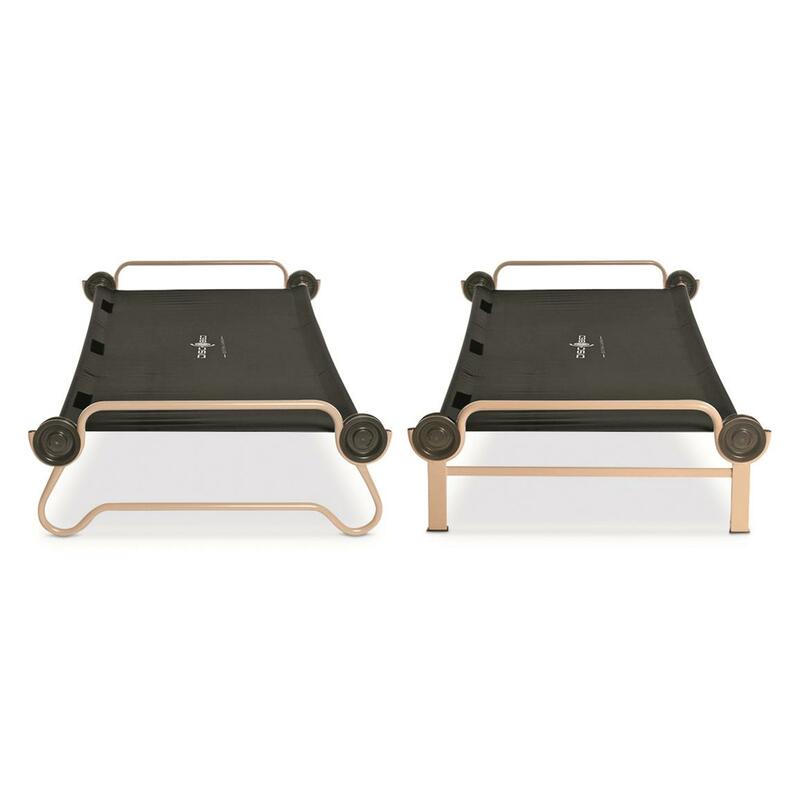 The modular, no-tools-required disc frame (hence the name Disc-O-Bed) makes it easy to configure the way you need it: use it as a bunk bed, as two individual cots, or as a bench-style seat. 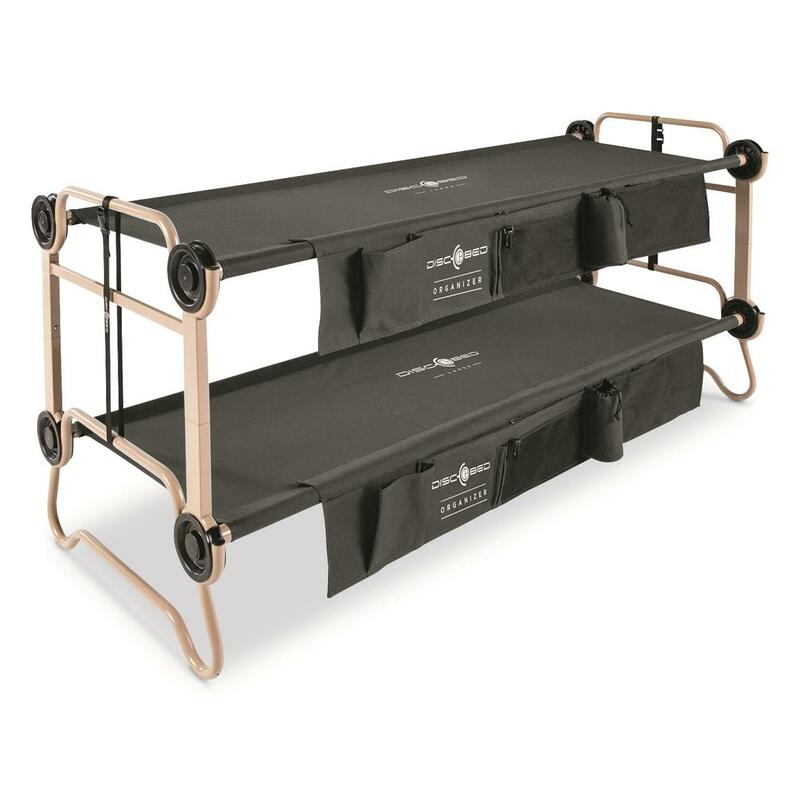 It's ultra-durable, space-smart, and easily portable. 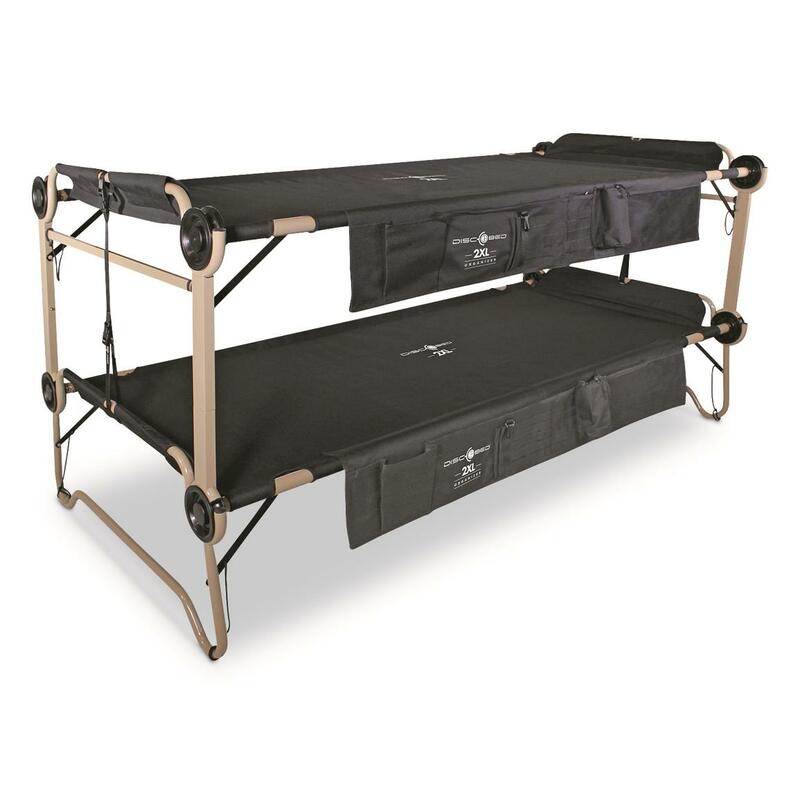 As roomy as it is, it packs down to next to nothing for easy transport. 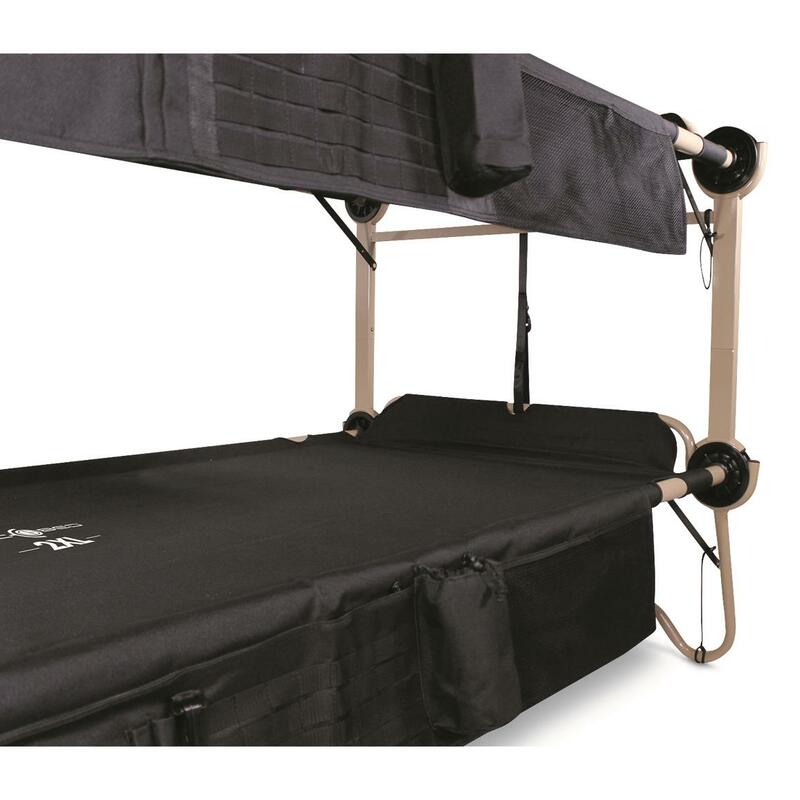 Sleep Area: 79"l. x 27.75"w.
Overall Dimensions: 82" x 32.5" x 36"h.
Sleep Area: 79"l. x 34.5"w.
Overall Dimensions: 82" x 39.5" x 36"h.
Sleep Area: 85"l. x 40"w.
Overall Dimensions: 87.5" x 44.5" x 46"h.
Height of Top Cot: 40"